Two years after writing The Wild Bunch (1969), Walon Green teamed up with respected documentary producer David L. Wolper for one of the oddest films ever to win an Academy Award. The Hellstrom Chronicle (1971), although it got the Oscar for best documentary, isn’t actually a documentary at all … or at least it calls into question what exactly a documentary is. The script by David Selzer (who five years later would write The Omen) offers an apocalyptic view of life on Earth, with man pitted against insect in a fierce Darwinian struggle which we are doomed to lose. 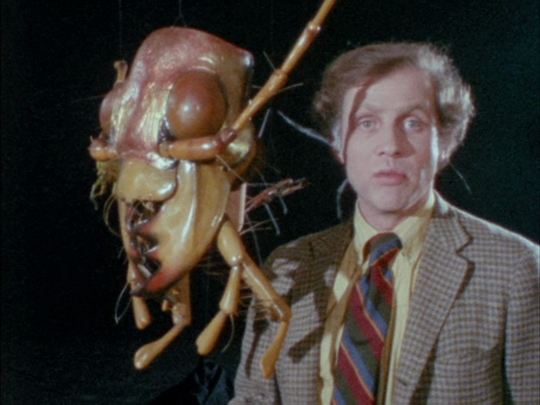 The hyperbolic narration is delivered by Dr Nils Hellstrom (played by Edward Pressman) as some kind of warning … though what exactly we’re supposed to do about the situation remains unclear: wipe out all insect life on the planet in self-defence? The silliness of the script is at odds with the remarkable micro-photography of insect life (the actual documentary content of the movie) – and it was no doubt these visuals that won the film that Oscar, despite the misleading nonsense Selzer, Green and Wolper promote as factual and educational. Olive Films’ Blu-ray is worth a look just for those visuals, a glimpse of a fascinatingly alien world which surrounds us. But for a better take on man-insect conflict, Saul Bass’ Phase IV (1974, available on DVD from Legend Films) is more artful, despite having been compromised by producer interference. And while we’re at it, don’t forget Byron Haskin’s classic killer ant movie, The Naked Jungle (1954). Sidney Hayers was one of those minor English directors who toiled away for decades in television after having made a handful of interesting films in his early career. Best known for the lurid Circus of Horrors (1960) and his excellent Fritz Leiber adaptation Night of the Eagle (aka Burn, Witch, Burn, 1962), probably his best film is the little known The Trap (1966) starring Oliver Reed and Rita Tushingham. But he also made a couple of excellent little B-movies marked by a distinctly gritty tone: Payroll (1961), about a heist gone wrong, and Revenge (1971), just out on DVD from Scorpion Releasing. 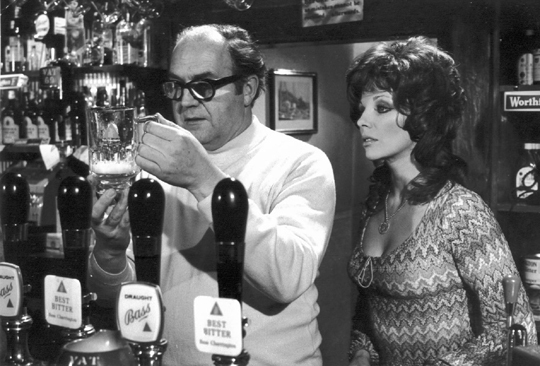 A pub owner (James Booth) and his wife (Joan Collins), traumatized by the vicious murder of their young daughter, hatch a plan when the chief suspect is released for lack of evidence. 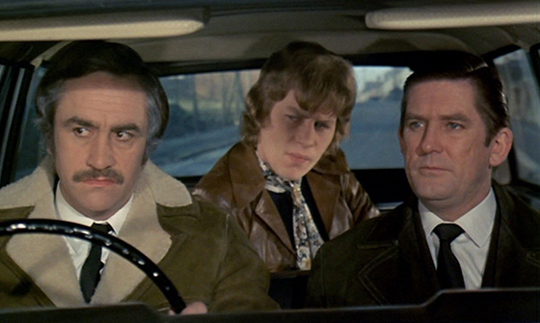 With their friend Harry (Ray Barrett), they kidnap the supposed killer with the intention of forcing him to confess. Things inevitably get out of hand, and these ordinary people discover a capacity for violence in themselves which tears their lives apart. Tense and claustrophobic, Revenge is tightly paced and satisfyingly grim, with some superbly realized, intensely suspenseful sequences. Cary Fukunaga’s Jane Eyre (2011) is a visually ravishing adaptation of Charlotte Bronte’s gloomy romance about an orphan girl employed as governess by a broodingly handsome man with an estate on the windswept moors. The details of production design; the cinematography’s sensitivity to interior and exterior light and the subtle shadings of the weather; the look of the stars, particularly Mia Wasikowska who seems visually perfect for the role, and gives a subtle and sensitive performance … just about everything is exactly what you could want in a movie based on a familiar classic. But for some reason it falters at crucial moments, particularly in the big revelation scene about the first Mrs Rochester, which should be the Gothic climax of the story, but here is essentially just thrown away, and at the end, where Moira Buffini’s script tries for too much compression as if just wanting to get the thing over with. What should be the emotional pay-off ends up being silly in an almost Pythonesque way, with housekeeper Mrs Fairfax (Judi Dench) inexplicably lurking in the ruins of the burnt mansion while Rochester (Michael Fassbender) has apparently been sitting in the garden for months wondering what to do with himself. Speaking of problem endings: I could remember disliking Brian De Palma’s Blow Out when I first saw it in 1981, partly because it seemed like a weak imitation of Michelangelo Antonioni’s Blow-Up (an obvious reference) and Francis Ford Coppola’s The Conversation (particularly in the narrative focus on sound instead of image), but mostly because I hated the ending. A downer ending in itself wasn’t out of line, but I found Jack Terry’s final action emotionally unsatisfying and psychologically implausible. Watching Criterion’s Blu-ray of the film, I have to admit that it’s actually very well crafted, in fact is probably one of De Palma’s best-made movies. Until, that is, that troublesome ending. 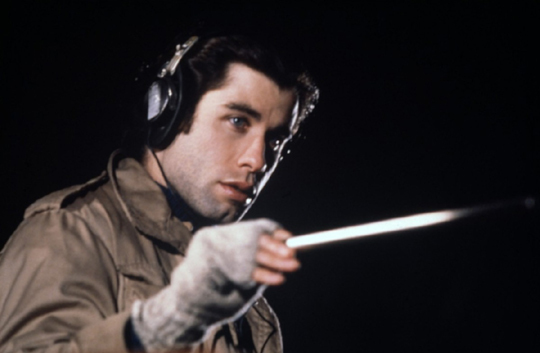 I simply can’t buy what Jack Terry (John Travolta) does with his final recording; it just seems like a brutal imposition by the director for the sake of cynical irony. Paul W.S. Anderson’s The Three Musketeers (2011) and Tarsem Singh’s Immortals (2011) are two of the best popcorn movies of the past year, the first with an irreverent steam-punk approach to the classic swashbuckler, the second adding Tarsem’s remarkable visual eye to a 300-style ancient world epic. Olivier Megaton’s Colombiana (2011), written and produced by the ubiquitous Luc Besson, is a slick, hyperactive movie which manages to avoid narrative plausibility at every turn, and also manages to populate its story of drug dealers, killers and revenge with nothing but unpleasant, unlikeable characters. Anthony Mann’s The Heroes of Telemark (1965) is a routine all-star World War Two movie, based on the actual story of Norwegian partisans who stalled the Nazis’ development of the atomic bomb, but the big action scenes seem lazily staged as if Mann just couldn’t summon up any interest in the assignment. 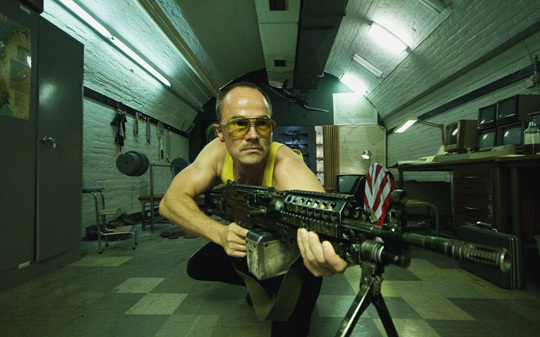 And speaking of Norway, Thomas Cappelen Malling’s Norwegian Ninja (2010) is an oddball comedy about a super secret force fighting to protect Norway during the Cold War; a little like W.D. Richter’s Buckeroo Banzai in tone, it features a lot of effective parody, with some great deliberately cheesy effects work. 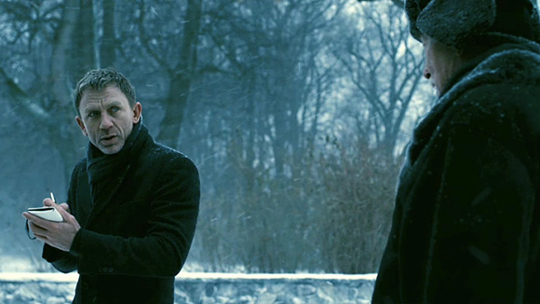 Still in Scandinavia, David Fincher’s unnecessary remake of The Girl With the Dragon Tattoo (2011) manages to look quite a bit like Niels Arden Oplev’s Swedish original while sucking all the dramatic life out of the story; Fincher, working from Steven Zaillian’s script, seems completely uninterested in the details of the investigation undertaken by Mikael Blomkvist (Daniel Craig), so there’s no sense of suspense or discovery, while the director tries to soften Lisbeth Salander (Rooney Mara) to make her a bit more palatable for an American audience. And finally, without quite knowing how I managed to miss it until now, I’ve just seen Ernst Lubitsch’s The Shop Around the Corner (1940), one of his most charming comedies. 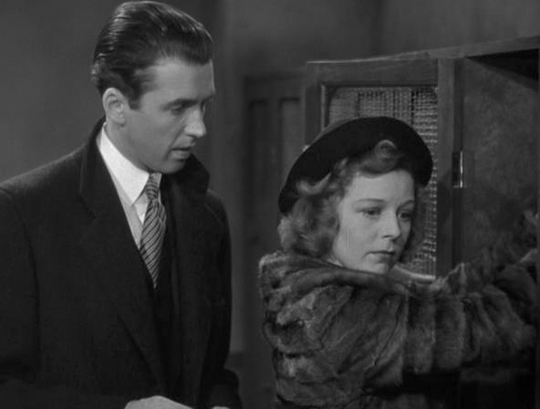 James Stewart and Margaret Sullavan are at their best as two employees of a Budapest shop who manage to rub each other the wrong way continuously, while being completely unaware that they are each other’s anonymous romantic pen pals. There’s a dark, melancholy undertone to the film which adds piquancy to the couple’s gradual discovery of their true feelings. This entry was posted in Review and tagged Comedy, Criterion, Directors, Documentary, DVD, Literary Adaptation, Thrillers. Bookmark the permalink.